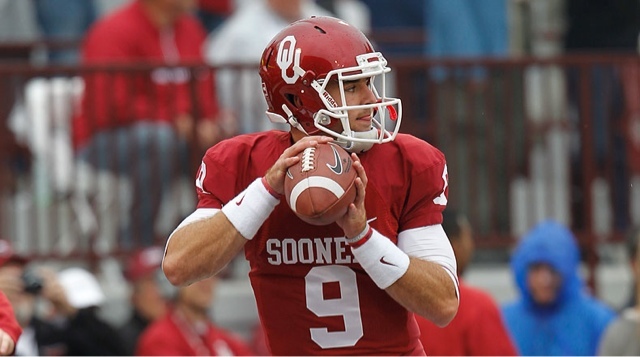 Oklahoma quarterback Trevor Knight announced on Monday via Twitter he plans to transfer to Texas A&M, he will be immediately eligible to play as a graduate transfer. Knight is expected to compete for A&M's starting job after quarterbacks Kyle Allen and Kyler Murray — who had both started in 2015 — left the program last month to transfer. Murray transferred to Oklahoma. Knight, who led the Sooners in win over Alabama in 2013 Sugar Bowl and named bowl MVP, lost starting quarterback role to Texas Tech transfer Baker Mayfield at beginning of 2015 season. Knight, started 2015 season as backup, was demoted to third string after he struggled against TCU in near upset after Mayfield suffered a concussion. The former Sooner announced his intention to transfer in December, coach Bob Stoops gave Knight a full release. He reportedly also had considered Kansas State, Auburn and LSU.